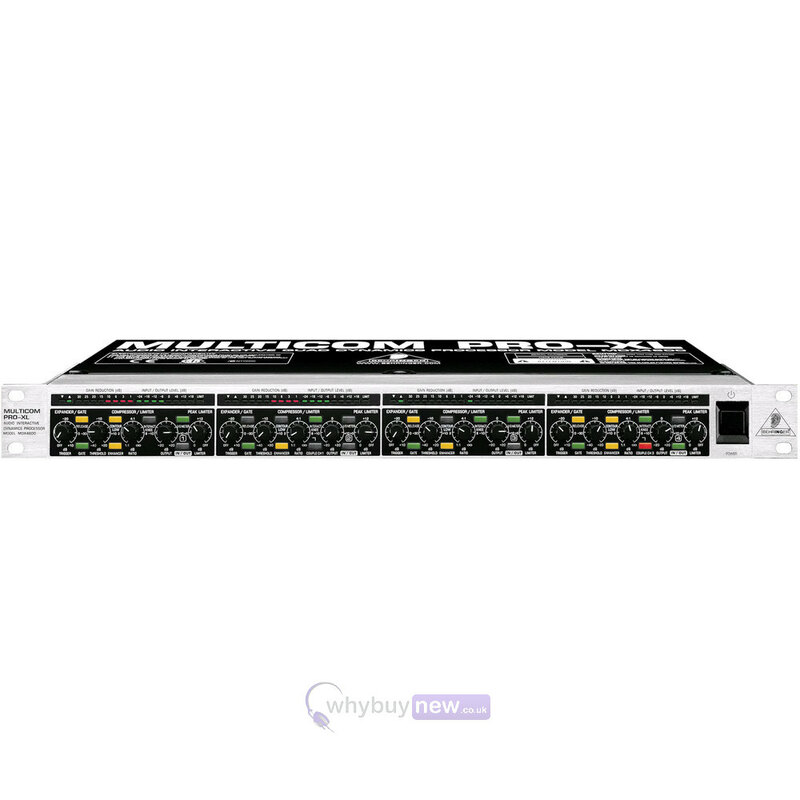 This Behringer Multicom Pro XL MDX4600 has been used for display purposes and comes with a 1 year warranty. The item has very small marks on the top of the unit. 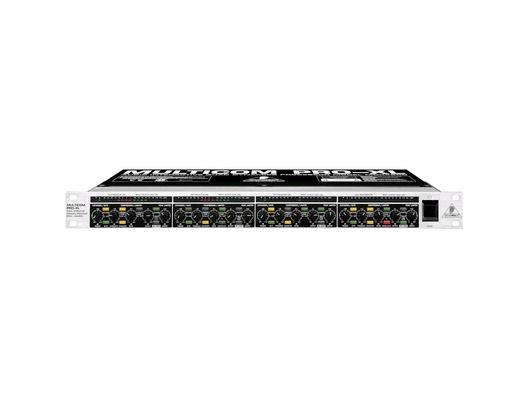 Buy this amazing Behringer Multicom Pro XL MDX4600 with confidence with 100% satisfaction guaranteed or your money back. The Behringer MDX4600 MULTICOM PRO-XL Interactive Reference-Class 4-Channel Expander/Gate/Compressor/Peak Limiter. Great, affordable studio-quality quad signal processor. The Behringer MDX4600 MULTICOM PRO-XL is a great rack unit for live music on the road or in the studio. A high-pass filter in the sidechain keeps the sound full and bright. Integrated dynamic enhancer, and low-contour filter provide the utmost in signal enrichment. Interactive auto-compressor delivers extremely musical processing. Program-adaptive attack and release times provide precise sound. Also includes link function for channel pairs, separate displays for in/out level and gain, peak limiter, illuminated switches, and servo-balanced XLR and 1/4 inch I/O. The MDX4600 delivers four channels of first-class dynamic control in a single rack space.